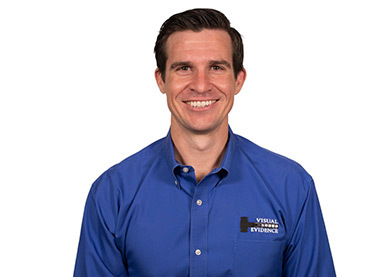 hereFounded by Michael Downey in 1984, Visual Evidence, Inc. is a national leader in presentation support, with many clients relying on our services for more than thirty years. Beginning as early as pre-suit and continuing through discovery, mediation and trial, we are your one-stop shop for documenting, organizing, and presenting your client’s story. Our highly trained and experienced staff, expertise in the latest technology and history of success in the courtroom, combined with our loyalty discounts, adds value to your case that far exceeds the cost of our services. They have the right technology, the right personnel and the right attitude… we get no trouble and no drama. One thing that I think sets Visual Evidence apart from other companies is that the trial presentation specialists have a lot of experience in the court room. You’re not going to get that with anybody else. When I need to have a really strong, big impact video presentation that’s going to help set the tone for the mediation, I call Visual Evidence. The blow ups were so good I was able to get the Plaintiff to come way down from their demand and settled the case. When I don’t need to think about the technology and I can just focus on my deposition, that’s a success for me and it’s always been a successful result with Visual Evidence. I know that you will commit yourself to achieving the best possible work product while focusing on exceeding our firm’s needs and deadlines. Visual Evidence always has the people, the right technicians on time, all the right equipment, everything that we’ve asked for over the years has been there. We’ve all watched the technology change through the years. Visual Evidence was one of the first ones to start videoconferencing that saved a lot of money for our clients. They’re creative. They’re proactive. They bring ideas to the table that you never think about as an everyday practicing trial lawyer. They’re part of the team that brings you ideas that you need, not only in hopefully getting a case resolved, but in trying a case and maximizing the potential of at case. It was a very challenging case and the material from Visual Evidence did a phenomenal job for our client and without that material, we never would have been able to achieve the results we did for our client. And it was an investment that paid off in huge returns. Witnesses vanish. Memories fade. So, with the help of Visual Evidence, we’re able to preserve evidence, preserve pictures, preserve scenes, accident scenes, client testimonials, witness testimonials, and medical treatment. It helps us tremendously to resolve cases early on, as well as to present to the jury exactly what happened and what is happening. The help and technology of Visual Evidence truly allows me to keep my theme developed, keep on track, and go through it step by step. I don’t think I could do that on my own, and I certainly have never been able to prior to obtaining the services of Visual Evidence. As always, your help was instrumental in getting the most value for the case. It was an excellent production and thanks to all of your input, I believe this is a compelling case and the documentary puts our case in the positive light that it should be shown. I just want to thank Visual Evidence — they were their usual top-notch professionals, made the expert very comfortable in the process, and had a terrific grasp of the case issues to open the door to all of the pertinent areas we needed. This should be a huge asset to the mediation presentation!! The Settlement Documentary was excellent! Your staff did an absolutely superb job with interviews of liability experts and damage witnesses. The case settled at mediation! Couldn’t get to mission accomplished without Visual Evidence. After serving four years in the United States Army, Mike earned a degree in Broadcasting, Video and Film Production from the University of Florida’s College of Journalism and Communications. In 1984, he returned to his home town of West Palm Beach where his extensive family background in law and his respect for the judicial process led him to found Visual Evidence. As President, he has guided its expansion from video production and documentaries to encompass a comprehensive list of presentation services on the cutting edge of technology. Mike routinely lectures and consults throughout the U.S. regarding uses and application of visual technologies for litigation. When he has time away from Visual Evidence, Mike enjoys bicycling, camping and traveling with his wife, Cathy, and getting together with his three sons whenever possible. Fall remains his favorite time of year due to his enjoyment of SEC Football! 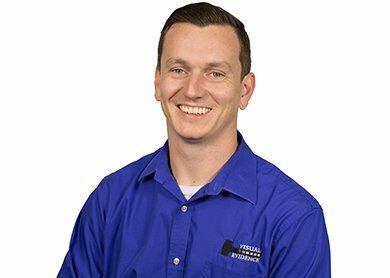 A third generation West Palm Beachian, Daniel joined the Visual Evidence family first as a Production Technician. 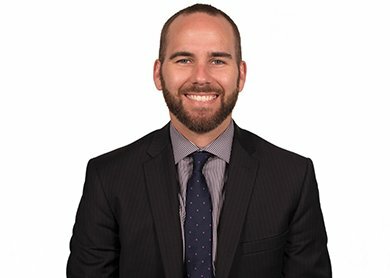 Following his Engineering Studies at Florida Atlantic University, he transitioned to Trial Presentation Specialist and completed coursework to become a certified trainer in Trial Director software. 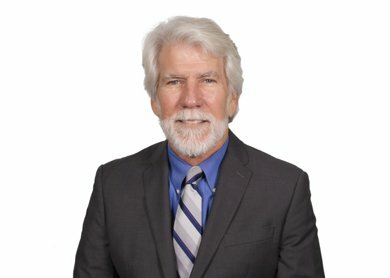 His technical knowledge and proficiency have contributed to proceedings in Civil and Federal Courts throughout the state and country and guides the continuing development of the Visual Evidence Trial team and services. Dan has played guitar, bass, upright bass, tuba, mandolin, and accordion and has shared musical camaraderie with his two brothers as former band mates. Photography is his current choice for any down time outside of the courtroom. Born in Miami, Cathy earned her Bachelor of Arts in Education in 1984 with an emphasis on Special Populations from the University of Florida where she met her husband, Mike. 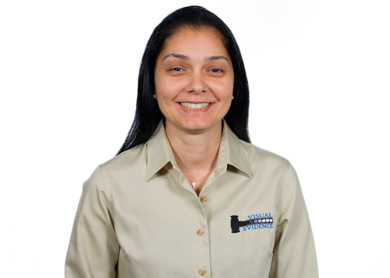 Cathy worked with special needs children in the School District and the ARC of Palm Beach County before eventually joining her husband at Visual Evidence, where she has assisted him in the growth and development of the company. In her role as Project Coordinator, she works closely with the Documentary Team throughout the course of production and assists with special projects and marketing campaigns. Cathy enjoys the outdoors with her husband, revels in the ventures of their three grown sons, and looks forward to frequent gatherings with her friends and large extended family. Originally from Indiana, Brenda graduated from South Montgomery Community before moving to Florida. Brenda started as Scheduling Coordinator, but her skill and dedication quickly warranted her promotion to Office Manager. 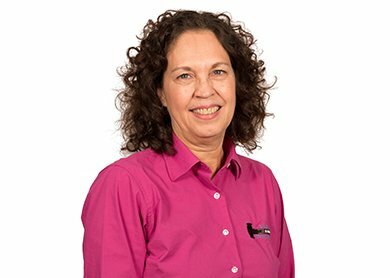 Brenda oversees the daily administrative operations of the office and is a crucial element in the communication between all departments and customers. She is proud of her son, Fred, and his newly appointed Executive Chef position. When she’s not making sure the VEI team is completely in line, she and her husband Jon enjoy the South Florida lifestyle by the water. 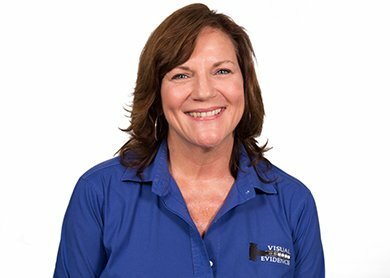 Michelle brings over 15 years of experience in the legal field to her position as Scheduling Coordinator at Visual Evidence. 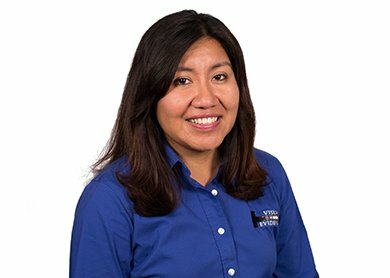 She is responsible for overseeing the job assignment details, manages our office calendar, and assists our office manager with daily office activities. In her spare time, she enjoys spending quality time with her family and loves cooking with her loved ones. 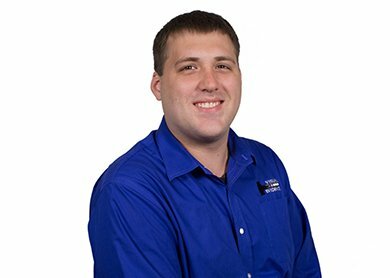 Born and raised in Ohio, Bryan graduated from Miami Valley Career Technology Center for graphic design and printing in 2003 and moved to Florida shortly afterward. 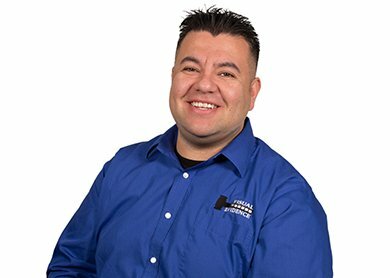 As Production Technician, Bryan works with our Video Production team, where he manages all conversions, processing, and archiving of media files. With our Trial Team, Brian oversees the design, layout, and printing of large format exhibit boards for trial. Outside of work, Bryan is recently married and an artist, skateboarder, and drummer for a local band. Andrew Mazoleny is an experienced Videographer, Editor, and Drone Pilot. His studies range from Communications, with a B.A. from Florida Atlantic University, to Film Studies at the University of Melbourne in Australia. He is a certified Commercial Drone Pilot. Andrew worked ten years for news organizations across the U.S., including the South Florida NBC and ABC affiliates and the Sun Sentinel. Andrew’s intricate knowledge and foresight into modern technology systems make him a valuable member of our Video Production, Graphics, and Trial Teams and helps keep Visual Evidence on the forefront of technology, inside and outside the court room. Andrew enjoys traveling and photography in his free time. Robert grew up in Bradenton, Florida and studied Telecommunications at the University of Florida’s College of Journalism and Communications, during which he filmed and broadcasted high school sporting events, produced a college Emmy winning local food blog and took the Adobe Certified Associate exams for both Premiere Pro and Photoshop. 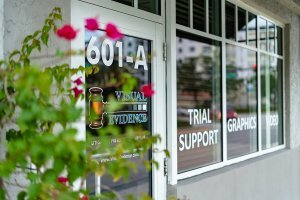 As a video production specialist at Visual Evidence, he films depositions, edits settlement documentaries and converts videos so that they can be used in litigation. Robert’s interests include tech journalism, and he is an automotive enthusiast. Maya was raised in Vermont and graduated with a BA in Communications from Virginia Wesleyan University. Before joining Visual Evidence, Maya worked at LRP Publications and PartBase, Inc. where she directed, produced, and edited videos for educators, federal managers and aviation professionals. At Visual Evidence, she works as a videographer, photographer, editor, motion graphics and graphics specialist. She is also a Zumba® fitness instructor and award-winning short filmmaker. 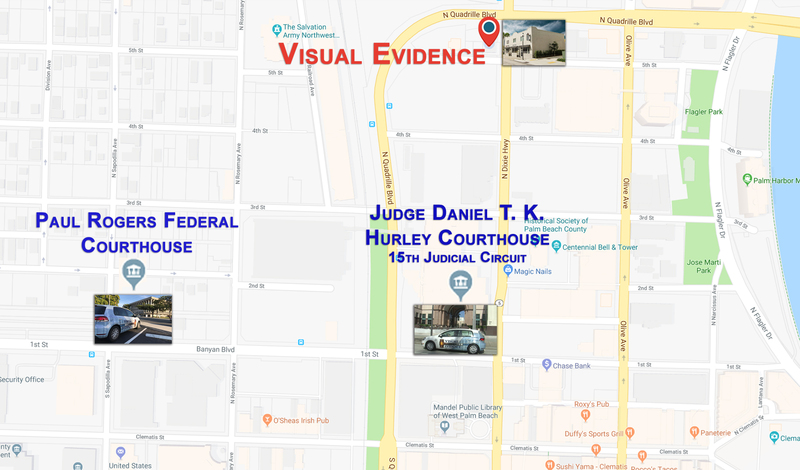 Visual Evidence, Inc. is conveniently located just 1 block from the Palm Beach County Courthouse and 4/10 mile from the US District Courthouse (see map). Within our facility you will find our staff ready to assist you in every facet of litigation media, document management, and presentation support. We are equipped with the latest digital recording equipment, hardware, and software including a state-of-the-art videoconferencing center.